IPL/BBL Photo Skin Rejuvenation can help you achieve more youthful and rejuvenated skin, without any downtime. 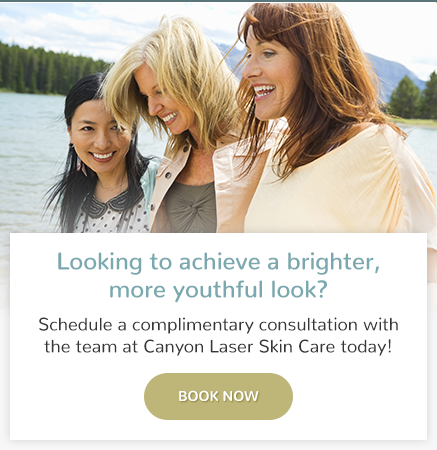 Ask the team at Canyon Laser Skin Care in North Vancouver if you are considering skin rejuvenation treatment. What is IPL/BBL Photo Skin Rejuvenation? In less than an hour, you can achieve more youthful and rejuvenated skin without any downtime. IPL/BBL Photo Skin Rejuvenation reduces fine lines and wrinkles, blemishes, broken blood vessels and rosacea. IPL/BBL Photo Skin Rejuvenation also clear pigmentation (brown spots and freckles), smooths rough skin and improve skin tone and elasticity. As a result, your skin becomes more radiant with a youthful appearance. What are the benefits of IPL/BBL Photo Skin Rejuvenation? How does IPL/BBL Photo Skin Rejuvenation work? At Canyon Laser Skin Care in North Vancouver, we use the Sciton BBL medical grade Intense Pulsed Light (IPL) system with advanced technology to deliver optimal results. A cold gel is applied to the treatment area and the smooth surface of the BBL handpiece gently touches your skin as pulses of light are applied, which encourages new collagen production. This gives the skin an improved texture and allows it to reflect light better. The entire face is scanned with our Intense Pulsed Light system with a customized setting for your skin type. The formation of new collagen results in decreased fine lines and the repair of freckles and age spots which will turn slightly darker after treatment then sloughs off. Rosacea and broken vessels typically fade and the skin takes on a younger appearance as it reflects light from its smooth surface – it glows! What results can I expect after treatment? After completing a treatment series, patients exhibit smoother, softer, firmer, vibrant and youthful skin. Other people will likely remark on a more revitalized and more youthful appearance. I had a series of IPL’s and the results were great! The service was excellent and the technician was an awesome person. I strongly recommend this treatment and clinic.